Dr. Ghosh was featured in Bentley lifestyle magazine. Dr. Ghosh has been featured in the San Diego Union Tribune. 2013: Jose Ramos is a young man who had developed severe headaches and incoordination. 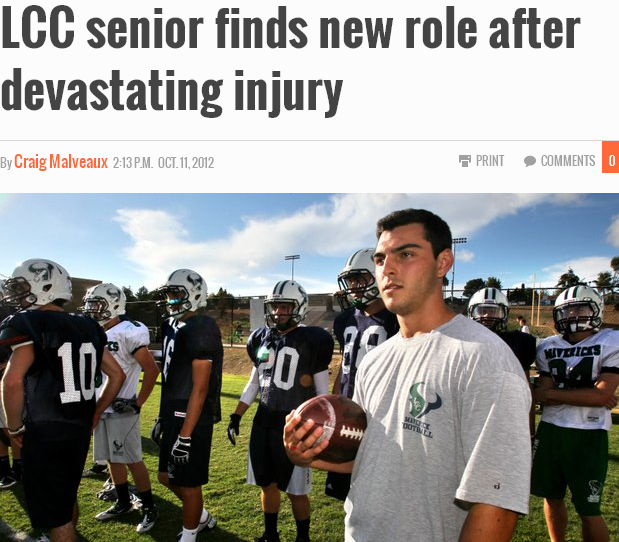 He was brought to the Scripps Hospital emergency room by his family where he was diagnosed with a hemangioblastoma. The hemangioblastoma had resulted in a life-threatening condition called hydrocephalus. In a staged series of surgeries, Dr. Ghosh managed the hydrocephalus and removed the hemangioblastoma. 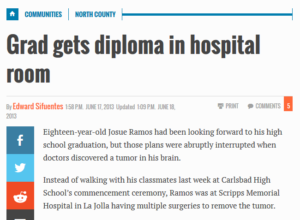 Unfortunately, due to the lifesaving treatment that Jose required, he missed his high school graduation. He ultimately received his diploma while in his hospital bed following these surgeries performed by Dr. Ghosh. Dr. Ghosh believes that Jose has been cured of his tumor and will have a normal life moving forward. Dr. Ghosh has been featured as one of the nation’s top doctors by the U.S. News & World Report in 2011, 2012, and 2013. Dr. Ghosh has been featured in a special advertisement highlighting the top surgeons in the nation. See the newspaper article. The national search organization Castle Connolly has named Dr. Sanjay Ghosh as one of the nation’s top neurosurgeons in 2011, 2012, and 2013. Dr. Sanjay Ghosh was featured in the Discovery Health program, “Medical Incredible.” Dr. Ghosh was the lead surgeon for the team that was involved in the removal of the largest brain tumor on record at Scripps Memorial Hospital. This patient’s story and Dr. Ghosh were featured in this show, “Medical Incredible”. Watch below. Dr. Ghosh has been featured as one of the nation’s top physicians in a special advertisement within the United Hemispheres magazine. Dr. Sanjay Ghosh has been featured in a special advertisement featuring the top physicians in the country. This has been published in Delta Sky Magazine.